IT market trends have been boosting in this generation through a new-yet-successful platform, Salesforce. Lots of job opportunities are available for those who are certified in Salesforce. Salesforce training in Hyderabad is available at many institutes among which Capital Info solutions is the best. Lucky to reach this page! Have a look on this article if you are a beginner planning a career in Salesforce. A business is termed successful when it meets all the demands of various divisions - sales, customers, marketing, management, application and so on. A small, medium or a large scale enterprise strives hard to meet its demands. In today’s world, advanced cloud computing systems are used for Customer Relationship Management (CRM). Traditional CRMs, which are higher in costs and time-taking in development, are critical to manage and understand. Also, they are only limited to personal servers of a particular company. But, cloud computing uses internet through which any kind of application and development can be accessed by multiple users anytime and anywhere. Salesforce is one such cloud computing application used by various organizations, irrespective of the industry. Now, let's have a brief view on salesforce and its related services. Salesforce is a cloud-based CRM platform that uses internet and provides applications for sales, marketing, service and so on. There is no need to install any hardware or software - so it enables one to simply log in and interact with the customers as and when needed. It works through Salesforce.com (SFDC), the best platform for accessing business needs with customized features. It is excellent in providing infrastructure, software and platform services to a varied range of customers. Salesforce also enables to purchase desired applications from app exchange. App exchange is nothing but a buy and sell market-place for custom applications. As Salesforce is a cloud-based application, it is very much useful and opted by businesses. However, here are some common yet prominent reasons as to why businesses prefer Salesforce. Fast - Traditional CRM systems take a lot of time, in fact several months for development, set up and deployment of various strategies. However, Salesforce is very fast and can deploy within weeks. It also provides business insights quickly and thereby saves time. Effective- As it uses customized applications and provides better solutions, Salesforce is very much effective. It helps to improve market, sales, management and other contexts thereby ensuring business success. As there is no need for the businesses to make their IT experts work on traditional CRM systems, it saves much time and they can easily concentrate on the platform directly for desired results. Easy to use- Salesforce enables simple user interface that helps users to access the platform easily. Also, the information related to coding, product updates and others are served in a format that is easy to understand. Cloud-based- As Salesforce is a cloud-based platform, it works through internet, and hence, users present anywhere across the globe can use it. Scalability- Salesforce offers scalability and it enables the businesses to use the services when needed and terminate the use when not needed. Mostly, a seasoned business can benefit due to this scalable characteristic of Salesforce. Integration- - Integrating with some other services, Salesforce fulfills customized needs of businesses. For instance, Gmail, any accounting software, and other resources or services can be integrated with Salesforce. It’s, however, tough to implement such integration with traditional CRMs. Affordable- Salesforce offers vast variety of services in affordable prices and so it is very much helpful for even startups and small businesses. 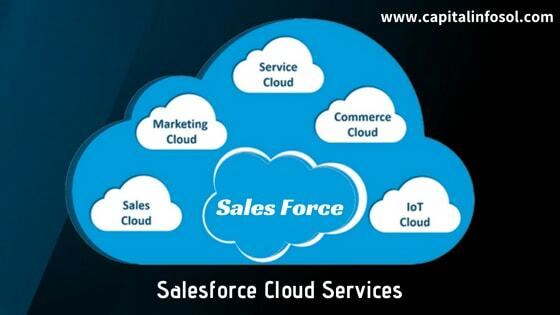 Salesforce Cloud Services: Salesforce offers many services through cloud, social and mobile domains. Here are some of them. Salesforce Sales Cloud: The CRM platform of Salesforce manages the organization sales, marketing and customer support services. It speeds up the organizational growth by improving the business to business and business to customer activities and dealings. Different aspects such as accounts and contacts, opportunities and quotes, approvals and workflow and many others come under the sales cloud. Salesforce Marketing Cloud: A company's marketing activities include content creation, content marketing, content management, data analytics, web personalization, customer journey, email, mobile, social media activities and others. Salesforce marketing cloud services offer the best digital marketing platform to improve these activities. Salesforce Service Cloud: It provides the platform for customer service and support. It enables to handle customer queries and also provide the customers access to answers. The service is delivered very fast through any virtual channel such as phone, instant messaging, email and social platforms like Twitter and Facebook. The service cloud of Salesforce include call center, case management, contracts and entitlements, knowledge, analytics, email, app exchange, etc. Salesforce Analytics Cloud: It provides business intelligent platform that helps to work with large data files. It improves data visualization through creation of graphs, charts, and pictorial representation. It can be integrated with other Salesforce tools also. Salesforce Commerce Cloud It offers better positive and customer experience. It enables the firm to give customer service and experience. It helps improve the consumer experience with providing customer data integration. Salesforce App Cloud This service helps to develop customized apps with a collection of development tools. App Exchange, Salesforce.com, Heroku, Salesforce Thunder, and Salesforce Sandbox are some of the tools used in this service. Salesforce Community Cloud It ensures to provide communication among the employees, customers and partners. It acts as a platform to share data and images in real time. Salesforce IoT Cloud This cloud service of Salesforce creates a platform to store and process Internet of Things (IoT) data. Devices, websites, applications, customers, sensors and partners provide huge volume data that is received and this service cloud starts actions in order to provide real time responses. Apart from these services, many others such as Chatter (enables employee collaboration for sharing knowledge), Salesforce1 (helps to develop application and exchange data through Application Programming Interface), and so on are offered by Salesforce. Salesforce CRM or Salesforce Administration and Salesforce Development are the two important aspects related to Salesforce. Let's know what they are. As said, Salesforce CRM is the cloud-based CRM that helps improve organization efficiency, automation, communication, analytical reporting and so on. Unlike traditional CRMs, Salesforce CRM helps to provide the services through online basis. A salesforce administrator is the one who has the complete knowledge on Salesforce and is the one who knows how a company works, its automation processes, its benefits, etc. Salesforce CRM training avails you training in various concepts of Salesforce CRM. So, training in Salesforce CRM or Administration helps you to work in any company with ease and efficiency. You can also be a productive part for your employer with certified Salesforce training. Depending on the required approach among business logic, data and user interface, Salesforce development is involved to develop customized codes and processes. The data from clients is received to Salesforce in Visualforce form and this is then sent next to the application logic layer which includes Apex platform. The data thus received is then made changes by developers as required by the clients and accessed through various web services of Salesforce. Salesforce development, therefore, improves the personnel, systems and strategies of a company to increase sales performance. 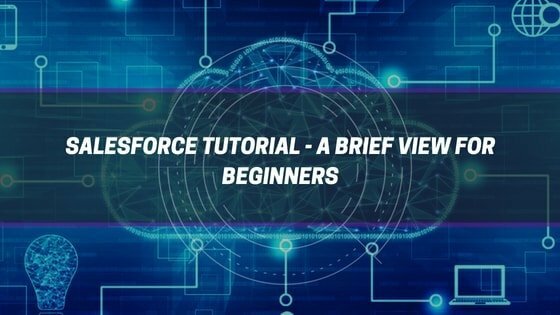 It deals with many developing concepts such as Apex, Visualforce, Salesforce Object Query Language (SOQL) and Salesforce Object Search Language (SOSL), classes and methods, triggers, and so on. Progress is always a sequential step for any technique. So, Salesforce didn't end up at CRM and development; and made efforts to bring up advanced concepts like Salesforce Integration and Salesforce Lightning. So, accordingly, it has become essential for the trainees to be aware of these terms. As the name suggests, it integrates different characteristics to better the organization performance. It is required for an enterprise to integrate various business logic, security, presentation and data applications to offer efficient services. SAP, BI and ODS are some of the applications to which Salesforce is integrated. It is even integrated to some third party applications with the help of customized web service APIs and AppExchange applications. Salesforce integration enables all the employees to stay logged into one system through all-in-one access. It also offers the best reporting and access to data. Integrated with automation, it helps to test any applications and raise productivity. Different concepts of APIs, web services, declarative integrations, XML, JSON, HTTP callouts, and authorization are involved in Salesforce integration. Salesforce lightning is a said to be a platform that ensures simplification of business processes. It is a collection of tools and technologies that are used to upgrade the Salesforce platform. It uses new interface to improve the speed and thereby helps to improve productivity, collaboration and faster reporting. It enables innovation across the business - it helps to build apps faster and easy way. Without any code builders and pro-code tools, it enables the businesses to create apps. So, instead of spending time on developing customizations, firms can use Salesforce lightning for better results directly and save much time. Various types of lightning platforms such as Lightning Platform Starter, Lightning Platform Plus and Heroku Enterprise Starter are available today. Salesforce is known to involve in all-round development of a business. It is beneficial for firms of various industries including retail, manufacture, media, high-tech, healthcare, financial services, communications and government. Let’s see how it is beneficial. Salesforce helps businesses to stand front with respect to innovation. Their services inculcate the best innovation and therefore give its clients a new-yet successful applications and services. Innovative ideas are provided in case of different aspects ranging from analytics, mobile development, artificial intelligence and many others. Businesses through mobiles have become successful today through advanced cloud-based platform, Salesforce. Development of mobile apps, its design, maintenance and management as per the customer needs are the best things of Salesforce. Salesforce mobile apps can also help in deals, service customers and track marketing. So, a mobile-run business gets huge benefits from Salesforce. As said, ready-to-use services are offered by Salesforce. This is directly meant for saving time, resources and cost. Therefore, it directly boosts the productivity of employees and business in turn. With advanced systems of Salesforce lightning and Salesforce integration, there is a proportional boost of growth and efficiency. This in turn can lead to increased revenues and decreased costs. Primarily, any business looks for customer satisfaction and increase in sales and leads. Salesforce is very effective in providing custom-based solutions and thereby directly raise the number of customers. • Salesforce enables communication and collaboration with passionate communities of people, developers, partners and clients. 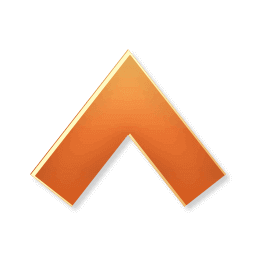 This brings in proper communication and help offering desired results within no time. Now that you got an idea on what Salesforce is, it is your responsibility to know the market trends and massive job opportunities related to Salesforce. Students, software developers, product managers, system administrators, app builders, sales representatives and IT managers have the better chances to improve their career by Salesforce certification. 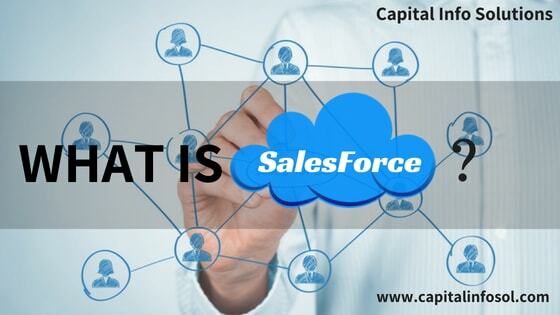 Enter Capital Info Solutions for Salesforce online training as we offer Salesforce Integration training and Salesforce Lightning training also apart from Salesforce CRM training and Salesforce development training. Take a right step; join without delay for the training and come into the next phase of achieving the bright career in Salesforce.